Summer seemed to be in a hurry to make its exit Tuesday as dark and unsettled skies doused the San Diego area with unseasonable on-again, off-again showers. The modest precipitation two days shy of fall’s start was mostly courtesy of former Hurricane Paine, reduced to a tropical depression off the coast of northern Mexico and destined to expire Wednesday in the Gulf of California, according to the National Weather Service. 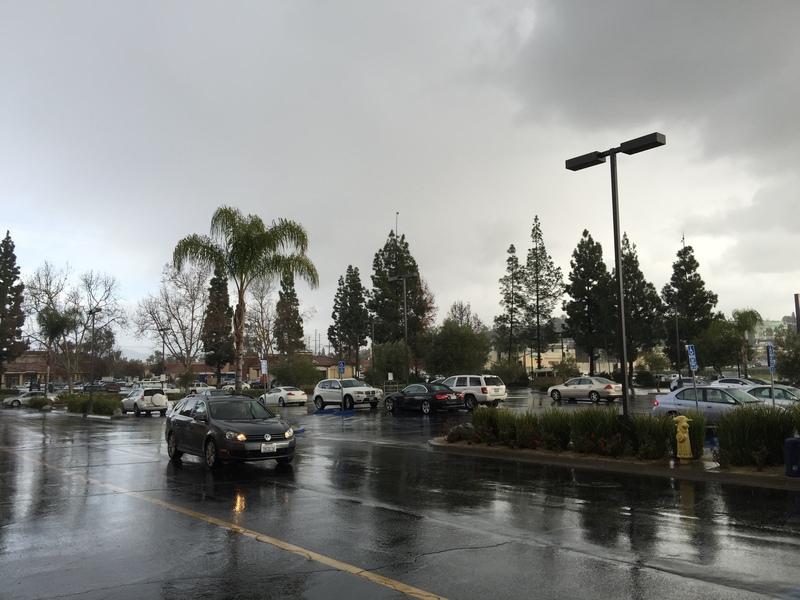 Over a 24-hour period ending at 4 p.m., the NWS reported, the wet atmospheric system brought 0.8 of an inch of moisture to the Palomar Mountain area; 0.76 at Birch Hill; 0.71 in Descanso; 0.64 in Alpine; 0.6 in Julian; 0.56 at Lake Cuyamaca in Pine Valley; 0.45 at Brown Field airport; 0.3 in El Cajon; 0.29 in Chula Vista; and 0.28 in La Mesa. 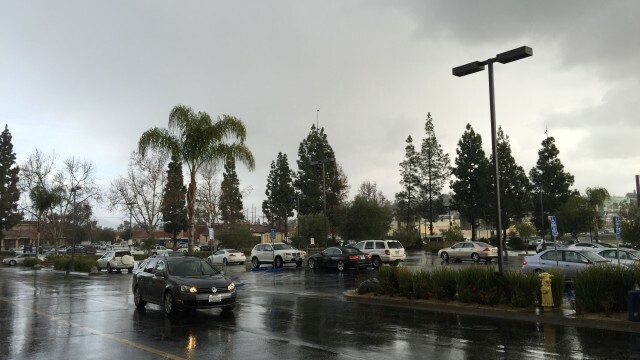 Other precipitation totals included 0.2 of an inch in San Ysidro; 0.16 in Fallbrook, the Lake Murray neighborhood, Ramona and Rancho Bernardo; 0.14 in Oceanside; 0.13 in Carlsbad, Kearny Mesa, Point Loma and Poway; 0.12 in Bonsall, Serra Mesa and Valley Center; 0.11 in City Heights and Mission Valley; and 0.08 in Elfin Forest and at Miramar Lake. The rainfall was expected to largely taper off this evening, with a chance of afternoon showers and thunderstorms lingering into midweek. Thursday will be breezy and cooler, followed by a warming trend and weak Santa Ana winds Friday through Monday, meteorologists said. The rain prompted health officials to release a general rain advisory warning the public that levels of bacteria can rise significantly in ocean and bay waters. Activities such as swimming, surfing and diving should be avoided in all coastal waters for 72 hours following rain. This includes all coastal beaches and all of Mission Bay and San Diego Bay. A water contact closure was also issued for the ocean shoreline of the Tijuana Slough National Wildlife Refuge and Border Field State Park due to sewage-contaminated flows from the Tijuana River entering the U.S.